What’s orange and black and comes with an oar? 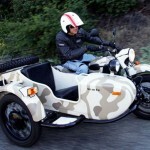 Ural’s limited edition 2012 Yamal. Why is it the only motorcycle to ever come with a factory installed oar. It’s named after a boat, of course. 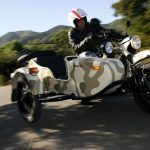 Like the ship, the sidecar of the Ural Yamal is constructed with a double hull and grimaces with the same toothy grin as its floating namesake. 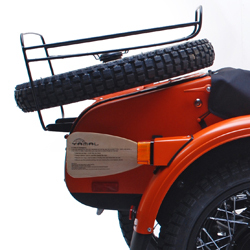 The fenders and the bottom of the Yamal’s sidehack also feature weather-proofing for additional protection. 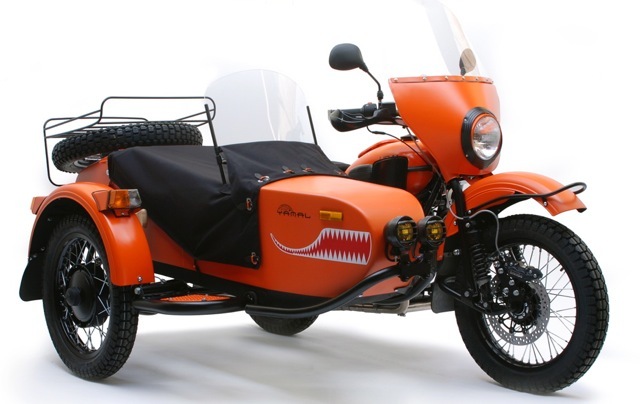 Ural painted the Yamal bright orange to make it easily seen (presumably overhead by low-flying rescue planes). 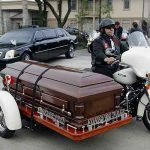 The Yamal also comes equipped with additional lighting, a spare tire and hand guards. No word from Ural if the Yamal will float in the case of it breaking through thin ice, but don’t count on it. As for the oar, it can either be a weapon for warding off an animal attack, or as an after dinner toothpick for a well-fed polar bear. For more information about Ural and its sidehack models, check out our review of the Ural Gear-Up from last year.